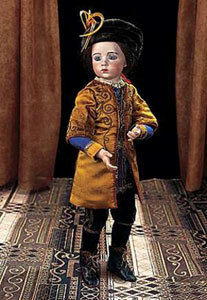 Worldwide Wonders: Collectors set records with their doll passions and obsessions! Dolls comprise a nice share of the Guinness World Records data. 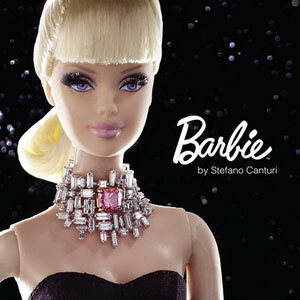 This one-of-a-kind Barbie, whose pink-diamond necklace was handcrafted by jeweler Stefano Canturi, was bought at Christie’s in New York for $302,500—making it the most expensive Barbie ever auctioned. The proceeds went for breast cancer research. Circa 1914, this rare French doll made by Albert Marque was hammered down for $263,000 at a Theriault’s auction in Atlanta, Georgia. Its costume honored the Russian ballet company of Paris. This antique creation realized a huge winning bid from a collector in Boston. 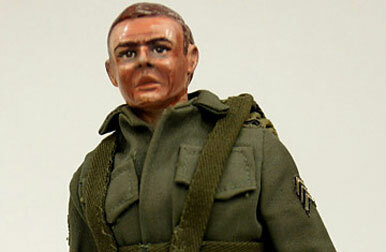 The handcrafted prototype for GI Joe, made in 1963, garnered $200,000 in an August 2003 auction held at Heritage Comics in Texas. 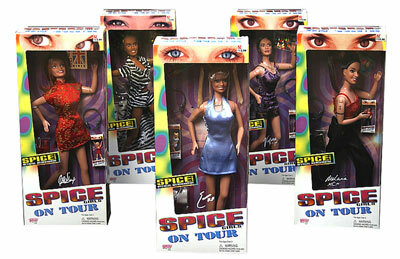 Elizabeth West, of the United Kingdom, has more than 2,060 different Spice Girls collectibles, including these On Tour dolls. 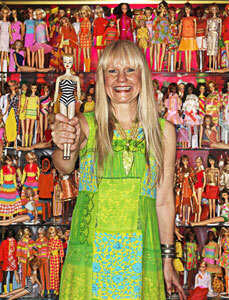 As of 2011, Bettina Dorfmann counted more than 15,000 individual Barbie dolls among her collection. Since her October photo session, she has been acquiring even more. 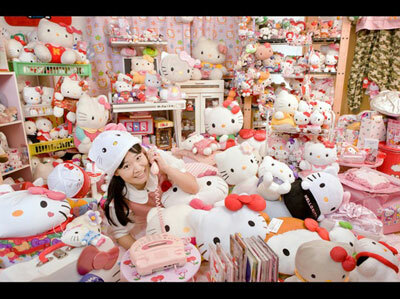 Asako Kanda, of Japan, has set the world record for the largest number of Hello Kitty collectibles: more than 4,500 separate adorable items. Sweet but scary! Some of the Guinness records are peculiar. 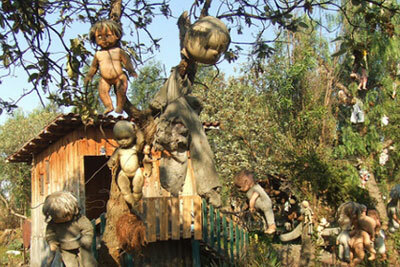 For instance, the largest collection of “haunted dolls.” These can be found south of Mexico City, on La Isla de las Muñecas (Island of the Dolls). The tiny island houses thousands of broken, decaying, and mutilated dolls. My daughter is in second grade and her math class is expanding beyond basic addition and subtraction. When she was younger—that phrase makes me laugh as I type it, because 8 is so gosh darn young—but when she was around 5 or 6, she’d demand math problems just for the fun of it. Yes, Jane was given the topic of world-breaking collectors and their collectibles. And she was challenged to then compare her own collections (or as we term it, the mess in her room) to the number-busting pros. Since Jane is very much my daughter, she gravitated initially to the doll and soft-toy records. According to Guinness, there are more than 150,000 Barbie collectors in the world. (I wasn’t knocked out by that estimate because I figure there are hundreds of thousands of folks who have been touched by that most famous of fashion dolls. I wonder what the real number is!) 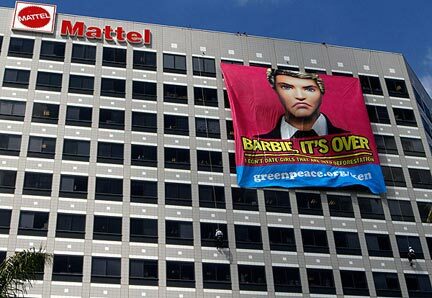 The collector who has crowned herself as the number one Barbie fanatic is Bettina Dorfmann, of Germany. She began accumulating Barbies in earnest in 1993, and over the past 20 years has amassed 15,000 of them. I tip my cap to that kind of resilience and passion. I shudder my feather duster at how much care and cleaning that kind of “commitment” must receive. Interestingly, Dorfmann, who is in her 50s, has morphed form just a super collector into a doll hospital doctor. 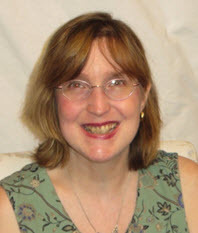 Over the years she’s learned to repair, mend dangling limbs, and detangle even the most obstinate knot of acrylic hair! A collector, who is close to Jane’s heart, is Asako Kanda, who has more than 4,500 Hello Kitty items (dolls, banks, toasters, posters, toilet seat). Almost 40 years old, but looking 12, Kanda lives in Japan and works as a receptionist. Her coterie of Kitty collectibles looks like a department store’s warehouse. It is so vast, so bizarre, so pastel, and so cute, that it is frightening! What Jane learned (and so did I) is that the United States is the most collecting-oriented nation on the globe. (Nearly 35% of Americans collect something!) 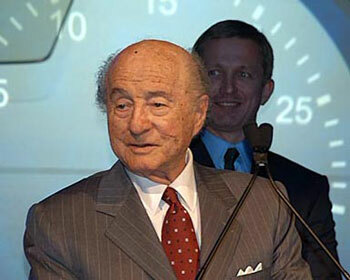 The USA is followed by the United Kingdom, Germany, India, and China—finishing off the top five. Studying collections that have been validated by Guinness, Jane has been inspired. Unlike episodes of “Hoarders,” which always spurs me on to cleaning binges, Jane has had a fire lit within her soul to acquire, record, document, and submit. Yes, she wants to chase after a record of her own. 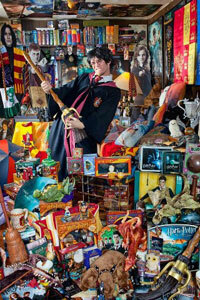 With Harry Potter memorabilia bursting the seams of her toy chest, she considered trying to set a record for those items. However, the current champ in that category—Steve Petrick, of Pittsburgh—has more than 600 pieces of Potter paraphernalia! (Jane and my pocketbook don’t think that’s going to become a reality for her.) She has lots of stuffed animals, baby dolls, puzzles, and Legos. Still, her acquisitions don’t seem to be approaching world-record levels. Personally, I think Jane’s determination to be in the Guinness files is a temporary wish. She’ll tire of it (I hope). But for any of you fellow collectors out there, the way to get included is NOT that difficult. If you’re inclined to grasp at that fleeting 15 minutes of fame, this is a painless way to grab some glory. Go to http://www.guinnessworldrecords.com/ and find out about registering your collection. I think there are some world-class collectors reading this blog right this minute. I look forward to discovering you next year—same “Bat” station, same “Bat” time! PreviousGuys and Dolls: A “manly man” gets in touch with his “Chatty Cathy” side.